From his home base in Minneapolis, Oglala Lakota chef and educator Sean Sherman's reach extends into many areas. He is studying and promoting indigenous North American foods with projects that range from pop-up dinners to plant taxonomy. His catering and events business, The Sioux Chef, serves healthy Native American foods throughout the Twin Cities area. The recently-retired Tatanka Truck, a street food favorite since 2015, highlighted indigenous ingredients with dishes like Bison Wild Rice Bowls and Cedar and Maple Tea. North American Traditional Indigenous Food Systems (NĀTIFS), the nonprofit he founded with business partner Dana Thompson, is developing various initiatives around food education and access in tribal regions. How did you approach the research and recipe development process? 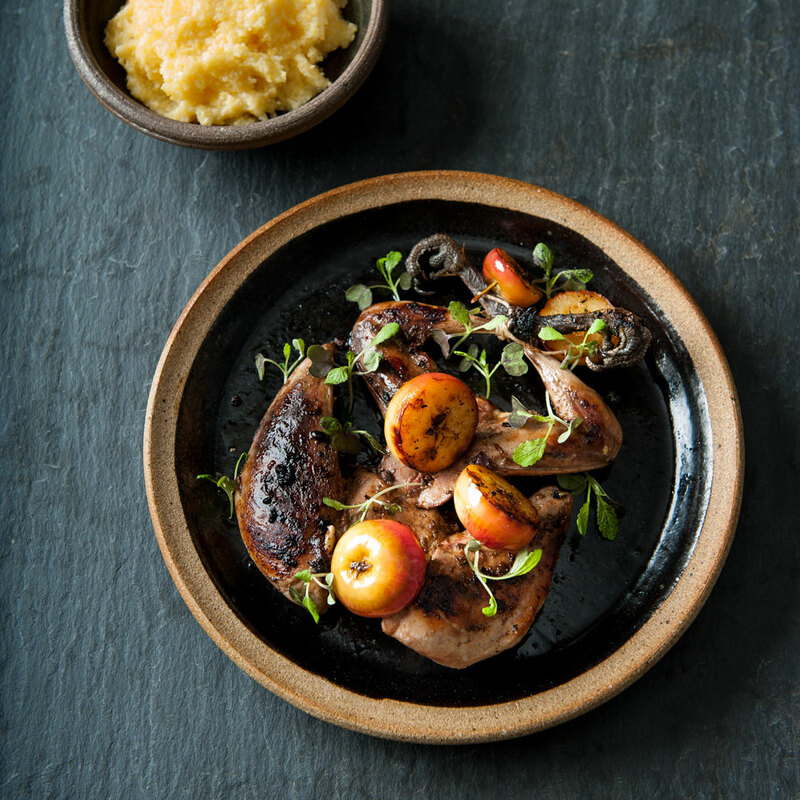 At its heart, the cookbook has really simple recipes; that’s how people cooked. Throughout the research process, I reached out to a lot of people in different communities, especially on my reservation in Pine Ridge, South Dakota—just talking to elders in my family and other elders, trying to get as many ancestral memories as possible. Part of the book is also just understanding how the indigenous food systems work, and piecing together recipes that make sense with the common ingredients around us. 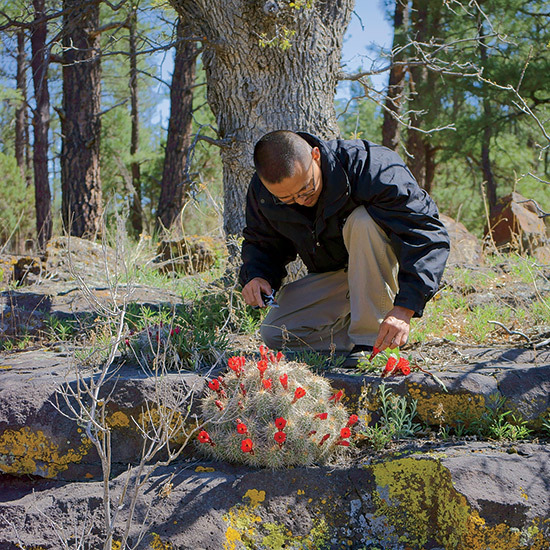 One commonality among indigenous communities was knowing all the properties of wild plants—not only for food, but for medicinal and crafting purposes. People weren’t looking out the window and seeing lots of weeds; they were actively working with the ecosystem. So we hired an ethnobotanist at The Sioux Chef, and worked with my uncle who is an ethnobotanist around the Badlands. Growing up on Pine Ridge in the 1970s, what did your connection to food look like? Growing up Lakota on Pine Ridge, I was hunting from a really young age—I remember my grandfather giving me a shotgun when I was, like, seven. We did harvest some of the wild foods that were around us—the chokecherries, juniper, timpsulas. But the history of Pine Ridge is a rough history. A lot of the food systems had been removed 50 years, easily, before I was born there. If you look at statistics, it’s not a pretty picture. Pine Ridge has actually been the poorest region of the US pretty much since inception, with huge rates of diabetes, obesity, heart disease, all these food-related illnesses. That stems from absolutely no food access—one grocery store and a couple convenience stores on the whole reservation. There was a real lack of healthy and traditional foods; I grew up with a lot of the commodity foods, and frybread was really popular. When I could look critically at it as a chef, later in life, I started to peel back the layers, trying to understand what Lakota were eating before reservation systems happened. You have a great section in the book about the ubiquity of frybread. During your research, what have you learned about the diversity of Native cooking in North America? There are still 567 tribes in the US, something like 622 in Canada. Mexico’s got 3 out of 10 people still speaking indigenous languages. I like to look at a language-based map of North America, because that’s a better way of looking at indigenous borders. You just see this patchwork of diversity: every few hundred miles, a different territory with different culture, religion, mythologies and foods. There’s absolutely no reason why frybread should be, like, the go-to food for Native American communities across the US and Canada. We did similar things—grinding flours and making simple doughs, even cooking them in fats. But this frybread, those methods weren’t even there until recently. As we’re trying to understand the backbone of North America, we have to remove those pieces even though they’re extremely integrated. What about some larger projects you’re working on with your nonprofit, NĀTIFS? NĀTIFS is focused on indigenous culinary education and food access, because we see those as the two main issues here. We have the Indigenous Food Lab—our Research & Development arm where we’re starting to record a lot of data, finding the original Native names for plants and working with ethnobotanists. We are also working on opening Indigenous Food Hubs in cities, each with a restaurant and a training center with an indigenous food curriculum. We’re hoping to satellite around those urban food hubs to bring food access to communities that need it, places like Pine Ridge. We want to put culturally and regionally appropriate restaurants directly into those tribal regions through our network. How do you see the state of indigenous cuisine right now—do you feel like the movement is growing? There’s been a great movement, even before us—people like Loretta Barrett Oden, who had a restaurant in the Southwest and did a PBS show on the subject. Lois Ellen Frank, who has a cookbook and a James Beard Award. Today, there’s chefs all over: Nephi Craig in Arizona, Karlos Baca in the book, Rich Francis up in Canada, Neftali Duran, who’s from Oaxaca but is based in Boston. And not just chefs, but people like Rowen White, who’s a seedkeeper that I work with at Seedsavers Exchange in Iowa. It’s this awesome community that we’ve been developing across the nation where we keep working together and utilizing each other. We’re taking knowledge from the past, and the tools we have today, to move forward and break free from the oppression and the poverty that’s been plaguing Indian country. 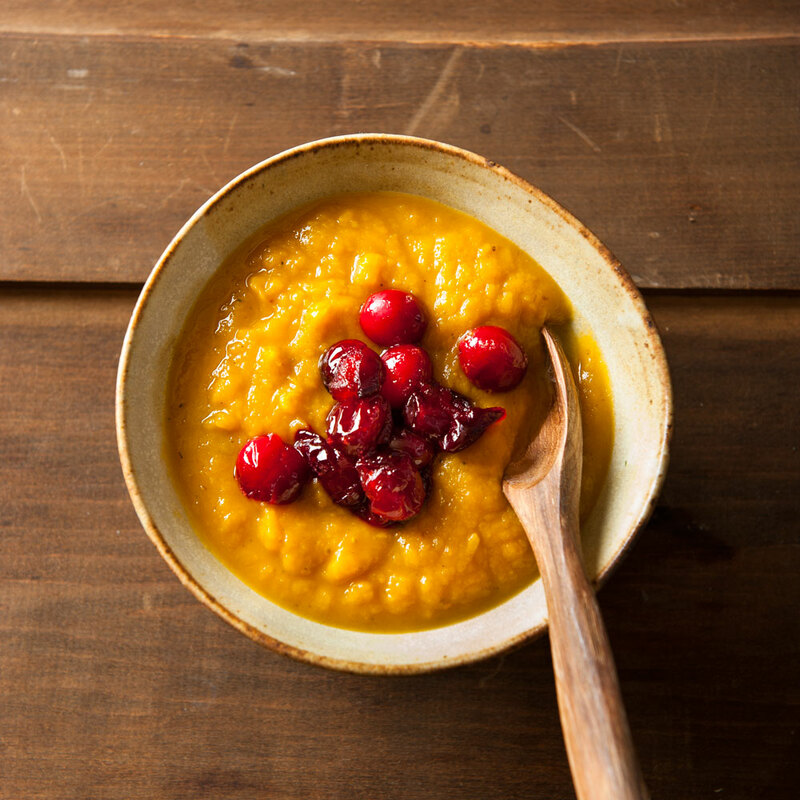 We’re not trying to go backwards in time to recreate foods from, like, 1491. And your first restaurant is in the works now? Yeah! We’re working with with the Park Board of Minneapolis and other partners to have a space on the Mississippi Riverfront. It happens to be right where the old Saint Anthony Waterfalls were, which used to be a really spiritual place for the Dakota people. For us, it’s a really cool opportunity to showcase the Dakota history of this region, because this was all Dakota land up until the 1870s, almost. And then we’re pushing forward to open our first Indigenous Food Hub here as well. We’re thinking big—but there’s a lot of work to do out there. Part of it is waking people up to see the indigenous framework that’s always been there. Everywhere you go, indigenous history is alive. 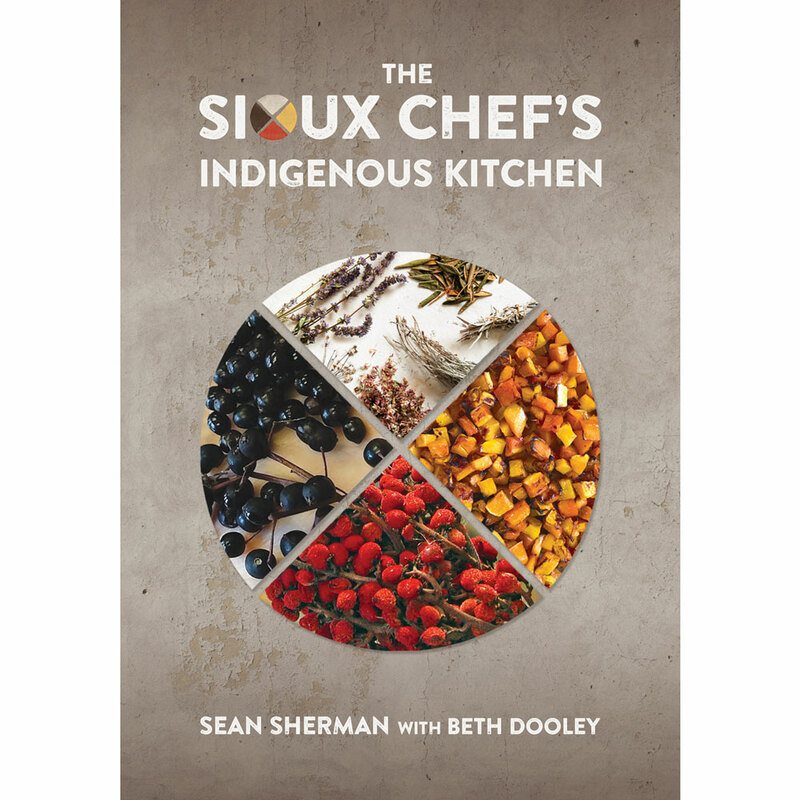 The Sioux Chef's Indigenous Kitchen by Sean Sherman with Beth Dooley, $35 on Amazon.